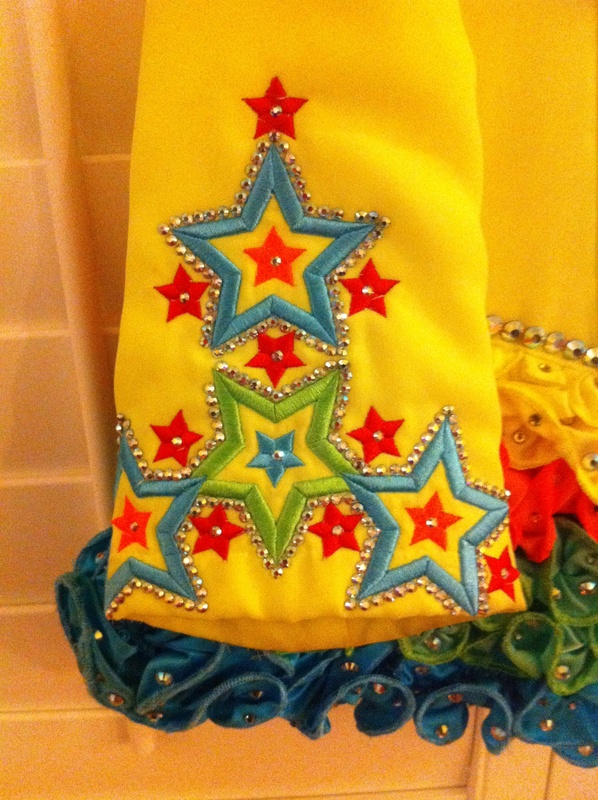 For your little star, a beautiful, Gavin Doherty dress. 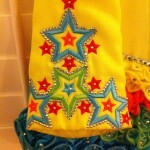 Made of bright yellow satin with a multi-colored skirt with layers of colors to match the embroidery – very light to dance in. 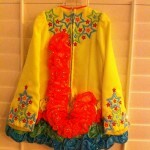 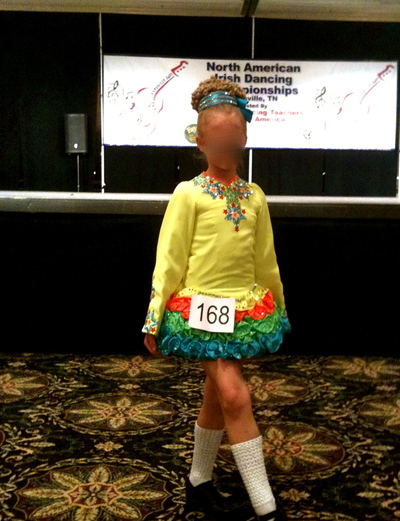 Adorned with hundreds of Swarovski crystals and includes a headband and bloomers. 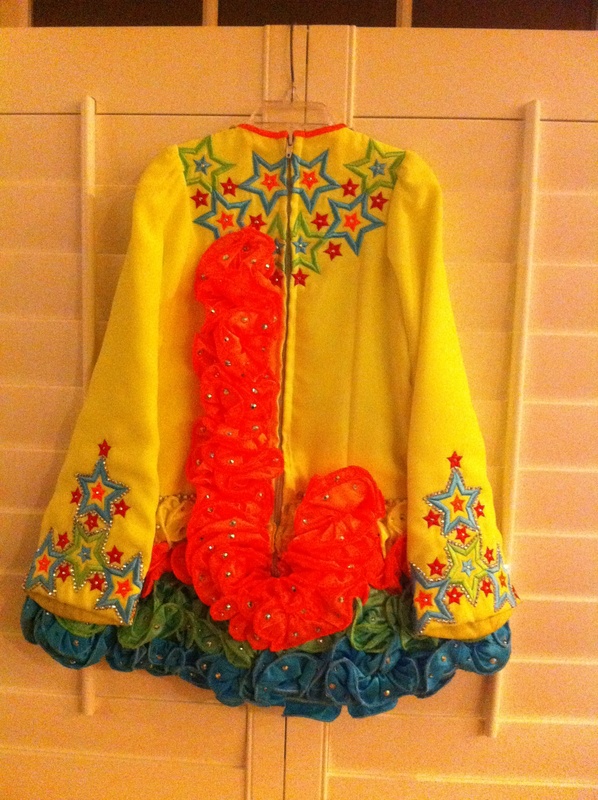 Stored flat, in very good condition, a very lucky dress, placed at NANS!